These words were spoken on the sidewalk where 12-year-old Sydney Mahkuk died. Community leaders and Sydney’s family asked me to bring some kind of meaning and hope to the sidewalk where Sydney had been dumped from a car by the side of the funeral home. Executive Director, Legal Rights Center, Inc.
Once upon a time a proud people lived on this land. They called themselves Ojibwe, Anishinabe, Dakota, Lakota, and Winnebago. Occasionally a Menominee would visit. They lived close to the land. They hunted. They fished. They gave thanks to the Great Spirit for every day. They saw themselves as part of nature. They rose with the sun. When the sun went down, they gathered in a circle by the light of the campfire. By the light of the campfire, they listened to the elders, whose stories broke the silence to told the children who they were. The children went to bed in safety. They were people of great dignity. Their ways were good ways. They respected the land. They respected each other. They honored their elders. They cared for the children. They trained their youth to become adults. They died with dignity. They were buried with honor. Earth was their mother. 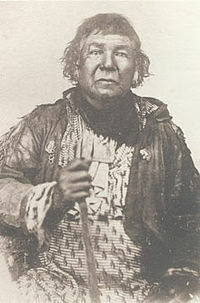 Gitchi Manitu, Wakan Tonka, the Great Spirit, was the common Grandfather of them all. Then something terrible happened. A plague came across their land. It took their land. It stole their culture. It laughed at their spiritual practices. It called them names. It tore down their tepees, their longhouses and their sweat lodges. And in their places the plague built big buildings – tall buildings, arrogant buildings, skyscrapers, they called them, that invaded the sky, turning the land into something it is not. The Ojibwe and Dakota who lived here no longer rose with the sun. They no longer gathered around the campfire. They no longer heard the stories of who they were. They knew only what the white plague had taught them – that unless they joined the plague, they were nobody, and that if they challenged it, they would lose. They would die. And so they lived in grief. A sorrow too hard to bear. A loss too great to carry. And the plague offered them relief to numb the pain – firewater that would make them happy in spite of their despair. Drugs to drive away the memories of who they were. Escapes to make them numb. To numb the pain. Opiates to freeze their tongues. The elders no longer acted like elders. The parents were numb with grief. There were no aunts. No uncles. No cousins. No grandparents. Nobody dared to be a neighbor. The children were left with no campfire at night – no community to tell them the stories of who they were and who they were not – and so the children and the youth drifted out into the night in search of themselves. Locked in lonely prisons of confusion, the youth no longer knew Mother Earth as their Mother; they no longer knew how to give thanks to the Great Spirit for the day. They no longer went to bed with the sun. They wandered the night in search of the community they had lost and never known. And the gangs and the drugs and the alcohol offered them the promises of a better life that was the kiss of death. Ecstasy was no longer a way of life – it was a pill that would make them higher than the skyscrapers that ruined the once humble landscape. And sometimes the alcohol and the drugs and the gangs that had promised to numb their pain took their lives and they were found in the morning as the sun came up. They were found by strangers. 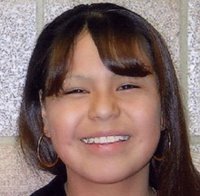 Then one day a girl named Sidney, a 12 year-old Menominee-Portawatami, was found beside a funeral home on Columbus Avenue. How she got there nobody knew. How she died, nobody knew. But everybody knew why. The community had unravelled. It had become dry bones in the valley. But on that day that the people gathered on the sidewalk on Columbus Avenue to mourn her death, there was a sound from heaven – a rattling, the sound of dry bones coming together, a resurrection of the once proud community. And as a result Sidney Mahkuk’s tragic death the community came together as it had not come together since the plague had begun. On the day they gathered on Columbus Avenue – a street named after the European explorer who had not discovered their land – on that day, the community woke from its sleep. It came together – Ojibwe, Dakota, Menominee, Potawatami, Lakota, African-American, Somali, Hispanic, Hmong …and, yes, even the descendants of Columbus. And on that day, because of a little girl’s unexplained death, they stood together arm in arm and said “Enough” to the plague. “Enough” to numbness. They said, “No more. No more. No more death on Columbus’s Avenue.” And it was more than words. They looked up at the sun again and really saw it…as if for the first time. They looked down at Mother Earth and saw it, as if for the first time. And they gave thanks. Then they looked at each other and they said, “We are a proud people. We will take back this land. We will be the people who honor our elders. We will be the people who support the parents and care for the children. We will be the people who guide the youth. We will be a people of hope, not despair. We will be a people of love, not hate. We are all Menominee-Potawatami. We are all grandchildren of one Grandfather. We are the people who care for each other. We are the people who refuse to go numb. We are the people who will teach the children of Columbus – starting right here, right now… on Columbus Avenue – how to live in a good way with Mother Earth, in a good way with Iraq, in a good way with the rivers and the sky, the ozone and the sun. We are the people whose spirituality will help to cure the cancer of the spiritual and economic plague that has left our people in despair. From that day on, November 4, 2005 at twelve noon, 12 year-old Sidney Mahkuk – our daughter, our granddaughter, our little sister, our friend, our neighbor – would be forever remembered as the one whose deadly silence on this sidewalk spoke so loudly that we could not stay numb. And we took the city back and brought it back to life. Merciful God – Wakon Tonka, Gitchi Manitu, God and Father of our Lord Jesus Christ, Jehovah, Allah, Grandfather, Great Spirit who breathes life into all things and receives all life at the end – Your’s is the air we breath, the land on which we walk. Assure us that your love is stronger than every power to divide or hurt us. Receive your child Sidney into your eternal care. Wrap your arms around Glenda, around Sidney’s brothers and sisters, around all the defenseless children of the night, around all of us who mourn their plight and mourn Sidney’s death. Re-kindle the light of faith and hope. Take from our souls the plague of hate, self-hatred and despair. Take away the numbness and the apathy. Make us a people of healing. A humble and quiet people, but a proud people of love and spiritual strength. A people who are not afraid to feel the pain, who really feel the loss, who feel our feelings and do not fear them. A people who dare to believe that every tear that falls from our eyes flows into the common stream of human suffering that leads into the ocean of community restored. A people secure in the knowledge of your love. Amen.